What is HB 7055? Just like last year’s infamous HB 7069, it is an omnibus megabill that that runs to 198 pages, is as hard to understand as a Shakespeare play, and is almost as tragic. Included in this train bill is HB1, the Hope Scholarship, which would allow students to transfer to another school—public or private, secular or religious—if bullied, harassed, robbed, or assaulted. The bill provides no guarantee that the victim will be safer at a new school. It never addresses what happens to the culprit, who—apparently—can remain on site to target additional victims. Instead, it simply creates a whole new voucher program that will funnel an estimated $40 million of our tax dollars into private schools. It sets a new precedent by offering subsidies even to those who can well afford to spend their own funds on private school education. Bottom Line: The Hope Scholarship expands taxpayer-subsidized private school choice without offering sustainable solutions or increasing private school accountability. With the effects of HB 7069 still unknown, why is legislative leadership pushing through another bill that is hard to read and tied to the 8-billion-dollar education budget? Please stayed tuned…as HB 7055 moves to the Senate for consideration, we will be sending out action alerts. We are going to need our collective voices to stop this train in its tracks. You have received this message because you have subscribed to a mailing list of Florida PTA. If you do not wish to receive periodic emails from this source, please click below to unsubscribe. As the largest child advocacy association in the state, the Florida PTA’s mission has always been to serve and support EVERY child. Therefore, it is with a heavy heart that the Florida PTA must oppose conforming bill 7069. Late Friday afternoon, a massive education package was introduced through the budgeting process. While there are many valuable elements in this bill like sensible testing reform, parent friendly testing reports, daily recess, and important early learning initiatives, conforming bill 7069 will leave too many of our most vulnerable children behind. The Title I provision takes away our school districts’ ability to effectively support our at-risk students. The required sharing of local tax dollars intended for school construction and repair diverts resources away from traditional public schools in all neighborhoods. Other provisions of this bill were never vetted in committee, thereby excluding essential input from parents and other community members. The power of the PTA lies within our members and we need your help! 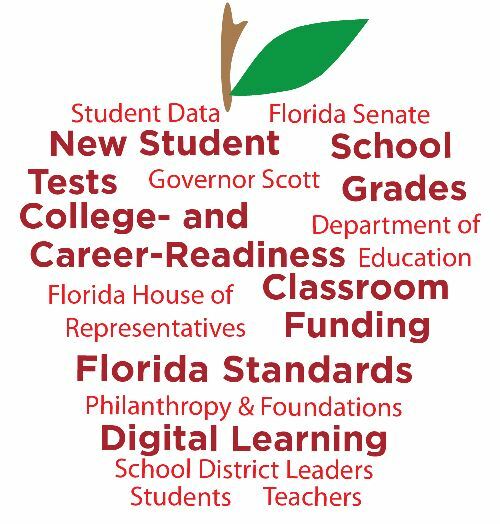 For the next 9 days the Florida Legislature will be making key decisions regarding education funding, testing and accountability, local control of local schools, and recess. Many of these decisions affecting our children and our schools will be made in conference committee meetings held behind closed doors. NOW is the time to let our legislators know where we stand, before the doors shut and policy is made out of the public eye. Fund K-12 education at the Senate’s level – a record $7414.26 per pupil. Our children need and deserve more than the House’s token $19.16 increase over last year. Pay for charter school construction and repairs using state, not local, capital dollars. Districts are required to use dollars based on need, meaning the money goes to the neediest schools. Charters will receive the money whether they need it or not leaving less money for our broken-down public schools. Respect local control of turnaround schools and charter school authorization. Allow school districts to participate in the allocation for “Schools of Hope”. We elect School Board members for a reason. Support the real “fewer, better tests” bill – SB 926. We need actual, not token, school accountability reform. Eliminate additional tests that are used for the sole purpose of evaluating teachers. Give districts the flexibility to create common sense teacher evaluations. The Senate recess bill SB78 passed unanimously on the Senate floor on April 4th and has been sent over to the House in messages. Please urge your Representative to contact Speaker Richard Corcoran TODAY and ask that he pull SB78 out of messages and send it to the House floor with no changes or amendments. SB78 offers 20 minutes of daily unstructured play for K-5 elementary students. Unlike the House version HB67, the Senate bill calls for true recess separate from PE and includes all elementary students not just k-3 students.